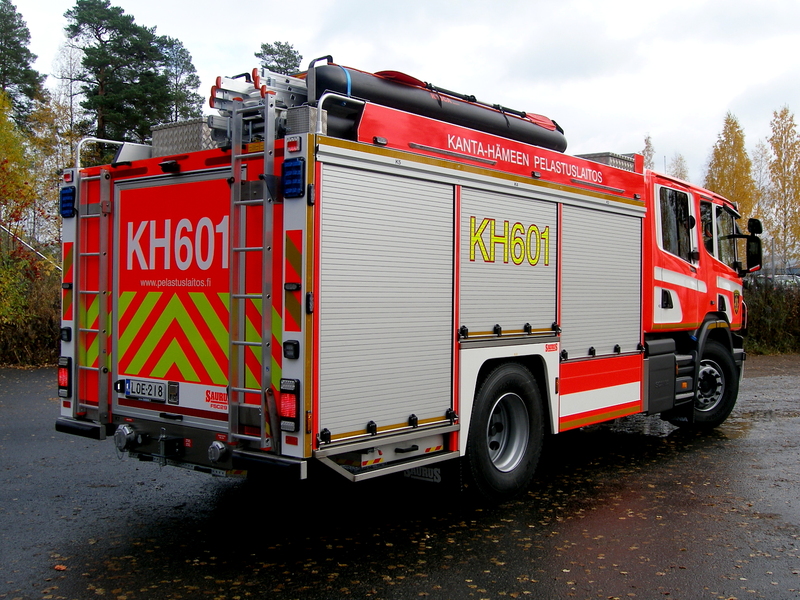 Riihimäki fire station in Kanta-Häme, Finland got a brand new Saurus FSC29 Fire Engine. 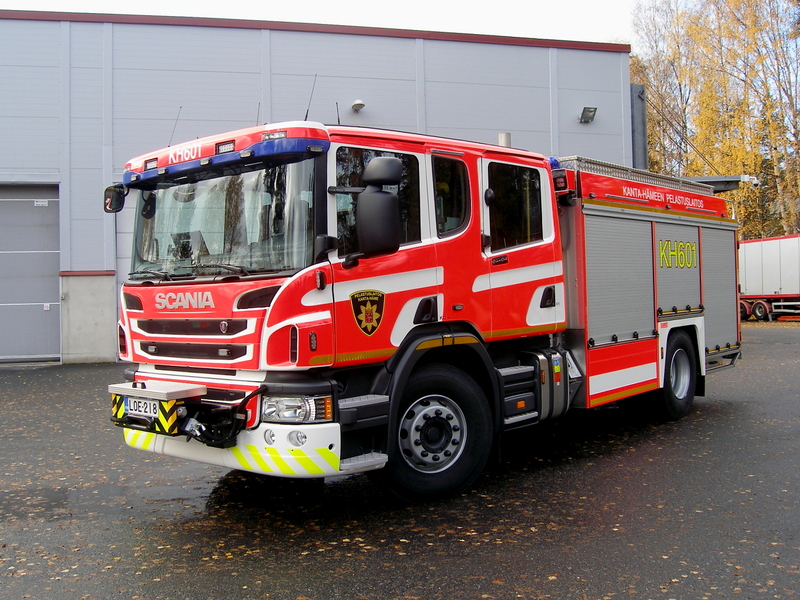 The Fire Engine is built on Scania P410 4x2 chassis and equipped with Allison automatic transmission. 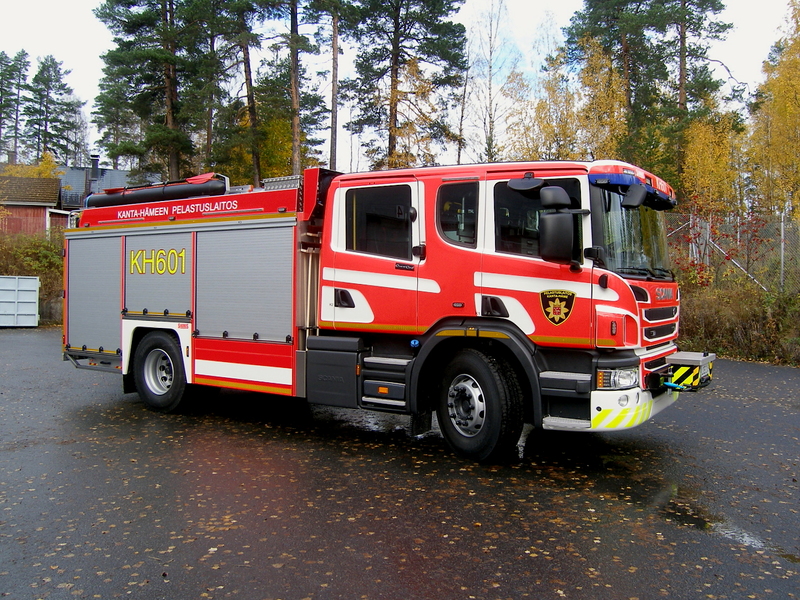 Water capacity of the vehicle is 2930 liters and it's equipped with middle-mounted Esteri D-240 fire pump, hydraulic 6.9 tn winch and 15 kVA generator.